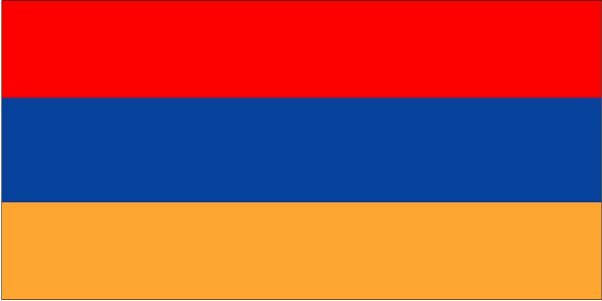 The Republic of Armenia is a unitary, multi-party, democratic nation-state, located in the Eurasian region of the South Caucasus. Under the successive rule of the Ottoman, Iranian and Russian empires between the 16th and the 19th centuries, it became independent in 1918, when the First Republic of Armenia was proclaimed. As part of the Transcaucasian Socialist Federative Soviet Republic, Armenia was one of the founding members of the USSR. The modern Armenian State became independent in 1991, after the dissolution of the Soviet Union. With a total population of almost 3 million people, minorities represent an important part of Armenian society. While ethnic Armenians make up 98.1 percent of the population, Yazidis and Russians make up 1.2 and 0.4 percent respectively. Other minorities include Assyrians, Ukrainians, Kurds, Georgians, Belarusians and Jews. Armenians have their own distinctive alphabet and language, spoken by the vast majority of the country's population. More than 75.8 percent of the Armenian people additionally speaks Russian and English is also becoming increasingly popular. Armenia was one of UNPO's founding members and, after declaring its independence from the Soviet Union in 1991, was admitted into the United Nations.